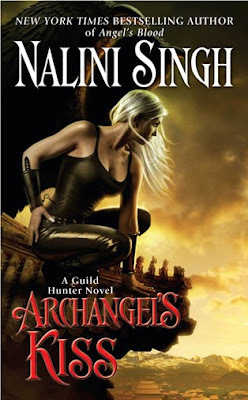 What a tremendous cover Nalini Singh has unveiled for ARCHANGEL'S KISS, the next Guild Hunter novel due for release February 2010. I am lovin' this cover. So hot. Nalini just did a quickie contest on the cover art...first one to guess the typo got a prezzie...can't wait to read this! Interesting cover. Kinda reminds me of the scene in Underworld. Love the colours and feel of it. Exceedingly nice Jackie. Vickie maybe you'll win. Good luck! PopinFresh I knew it reminded me of something but you nailed it. 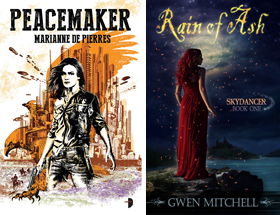 Kind of like the Dark Angel TV series too.